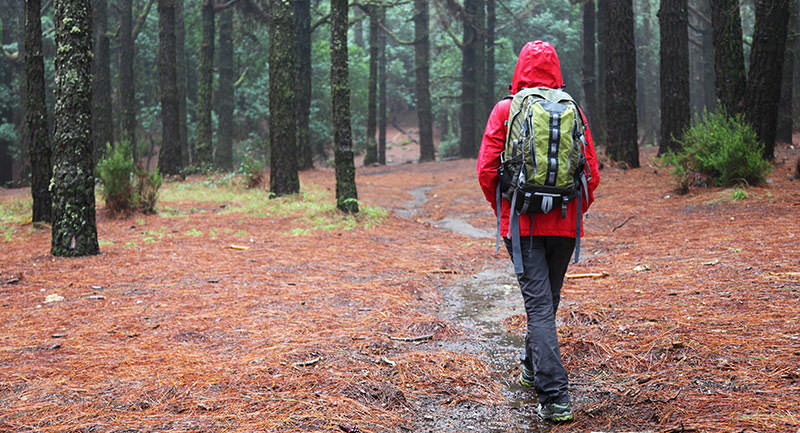 If you ever travel in wet conditions, a waterproof backpack can be a great asset. Whether you are a hiker, commuter or a student, a waterproof backpack can ensure that all of your gear and/or supplies can remain dry and protected from the outdoor elements. Of course, not all waterproof backpacks are the same. Today, there is a wide range of models from which to choose, each offering certain benefits (and drawbacks). To help you select the perfect waterproof backpack for your needs and preferences, below we have briefly defined the term “waterproof” backpack and highlighted the many purposes it can serve. We have also included a waterproof backpack Buyer’s Guide, in which we will identify and highlight the various things you should look for (and consider) when shopping for one of these very useful items. Ready to learn what you need to find the best waterproof backpack for the money? What Is a Waterproof Backpack? If you regularly use a standard backpack, you already know how useful these items can be. Offering many different compartments in which to store gear and supplies, a backpack is essential for a wide cross section of the population—including hikers, students, cyclists, non-automobile commuters, and travelers. However, there are times when a standard backpack is just not enough. For instance, commuters who must regularly travel in wet and rainy areas may find that all of their supplies, papers, etc. can become soaked before they even make it to their destination. Hikers, too, may suffer the effects of rainy and snowy weather—situations that can absolutely soak their gear, leaving them with no dry clothes and or supplies when they make it to their campsite. For situations like these (and more), a waterproof backpack is not only handy, it is absolutely essential. Waterproof backpacks are designed to keep everything inside your backpack “completely” dry—thus the term “waterproof.” These backpacks are made from materials and fabrics that help to wick away water, and are usually coated with substances designed to prevent any water from getting into the backpack. However, as you will see below in the section entitled “How to Choose the Right Waterproof Backpack,” not all backpacks that claim to be waterproof actually are. In fact, there are only a handful of backpacks on the market today that are truly designed to withstand prolonged immersion in water. The majority of the backpacks that are advertised as “waterproof” are actually only “water resistant” or “water repellent.” And there is a big difference between these three terms. Water resistant backpacks are designed to protect the inside contents of your backpack from “some” water, such as a brief light rain, but in heavy downpours you cannot count on these backpacks to keep your stuff dry. It is absolutely crucial that you understand the difference between the terms waterproof water repellent and water resistant before you head out to shop for a true waterproof backpack. To educate you more about this, below we will elaborate further on the difference between these three terms, and show you some of the other things you should look for when purchasing a genuine waterproof backpack. Attempting to pick out and purchase a backpack that truly lives up to the manufacturer’s claim of being totally “waterproof” can be a tricky ordeal. That’s because manufacturers—and marketers—are pretty savvy at telling you just what you want to hear, while simultaneously misrepresenting their product. This is why it is so important to read the fine print when shopping, and why it is imperative that you do your own research prior to picking out one of these items. Waterproof backpacks are those that are completely impenetrable when it comes to water and moisture. And although many of today’s backpacks claim to do just that, they actually fall into one of three categories: water resistant backpacks, water repellent backpacks, and (truly) waterproof backpacks. Below we will take a closer look at each of these categories to help you choose the backpack that is perfect for your needs. If the backpack you plan to purchase is labeled “water resistant,” it means that it was intentionally designed to resist contact by “light water,” such as rain showers or snow flurries. However, it is not designed to withstand any heavy or prolonged exposure to the elements. Technically speaking, most water resistant backpacks are supposed to be able to withstand a cylindrical water pressure of approximately 1,500 mm or more—according to the Hydrostatic Head Test (HH). This test, performed on backpacks and other water resistant garments, is fairly straightforward. “A double open-ended cylinder is placed on top of a DWR treated fabric and gradually filled with water. Measurements (in millimeters) are recorded to see how much water the fabric can withstand before permeation (or liquid penetration) occurs. The ratings vary, and the higher the number, the better the quality of waterproofness. Many of these ratings will be present on the tag of the backpack you plan to purchase, but if it is not, you can always contact the manufacturer for more information. The term water repellant when it comes to backpacks (and garments) is often used to describe the characteristics of both water resistant and waterproof products once a durable water repellant (DWR) is added. If your backpack is labeled as water repellant, it means it repels water on contact. A feature of both water resistant and waterproof backpacks, water repellency measures just how much water pressure a material can withstand before the water begins to permeate the backpack. Generally speaking, a backpack that is simply labeled as “water repellant” tends to be more effective than one that is merely labeled water resistant. Water repellant backpacks and fabrics rely on a term known as “surface area angling” in order to repel liquid. If a droplet makes contact with the fabric at an angle less than 90 degrees, some water will be absorbed into the backpack. Conversely, if a drop of water makes contact at an angle greater than 90 degrees, less water will be absorbed. The chemical compounds present in the fabric. The roughness of the surface area. The porous qualities of the fabric. How substances like oil, sweat and dirt affect water-repellency. So how do you know if the backpack you select will be truly water repellant? Apart from synthetic alternatives, refined fabrics that are used to make some backpacks are not inherently water-repellent. In order to make the backpack repel water, a DWR is coated onto the exterior shell of the backpack, or infused into the fibers that are used to make it. DWR is a specifically manufactured chemical that, once applied to the surface of fabric, repels water. When purchasing a water repellant backpack, it’s important to know that the coating or DWR applied to it will not last forever. This means that over time the backpack will be less and less effective in keeping water from the bag. Waterproof backpacks are those that offer the highest quality level of protection from water. When manufacturers design waterproof backpacks, they actually target water resistant features, and then enhance those features to increase the amount of water that is being repelled. Waterproof backpacks tend to include waterproof zippers that are much more durable than standard zippers, enabling them to withstand even the harshest of conditions. Waterproof backpacks tend to be much pricier than both water resistant and water repellant backpacks, largely due to these enhanced features that increase their water resistance. Waterproof backpacks are designed intentionally with synthetic membranes that are inserted under the fabric to form layers. These layers decrease the amount of water that can be absorbed while also extracting moisture from the inside of the backpack. An added feature of waterproof backpacks are the sealed seams—areas where water can seep in with other non-waterproof backpacks. Thanks to this seam-sealing process, the interior seams of the backpack are sealed from external elements and thus prevent water seepage. The process is accomplished by covering the stitch holes and seams with a new-age waterproof tape, which is heated to a certain temperature. The end result is an airtight and watertight seam that will never leak. Now that you have a basic understanding with regard to water resistant, water repellant and waterproof backpacks, it should be much easier on your next shopping outing to select a product that truly meets your needs. However, there are also a few other factors to consider when buying one of these backpacks—factors that are listed and defined below. Water resistant backpacks can be made from a variety of materials/fabrics, but the most common type of materials used is polyester and nylon. Polyester is an all-weather fabric that is easy to clean and maintain. The fabric also contains fibers that naturally repel (some) water—hydrophobic fibers that can keep water from seeping in for a while, assuming there is only light rainfall conditions, between 1,500 and 5,000 mm on the HH scale. Nylon is also commonly used in the construction of water resistant backpacks. However, you have to be careful with water resistant backpacks made of this material. Although nylon does a fairly good job at resisting water buildup, it is actually the weight and the weave of the nylon that will determine just how much water the backpack can repel or resist. As you learned from the tutorial above, water repellent backpacks generally derive their repellency from a durable water repellant (DWR) coating that is added after the fact to the fabrics used in the construction of the backpack. Most water repellent backpacks are made from the same types of materials and fabrics you would find on a water resistant backpack, such as polyester and nylon. The difference, however, in the case of water repellent backpacks is the additional layer of protection that is added to the backpack to discourage any water buildup or permeation. The most widely used synthetic material that is used to coat the inner and exterior parts of a water repellent backpack is polyurethane. In some cases, a laminate membrane takes the place of the polyurethane coating, and while this is said to be more effective in the short term, over time that laminate can wear away, thus making the backpack more susceptible to water and moisture. When it comes to waterproof backpacks, the most commonly used material in their construction is a fabric called tarpaulin, or tarp for short. There are many different types of tarpaulin fabrics, and not all of them are waterproof. The best waterproof backpacks are either made from polyurethane (or poly) tarpaulin fabrics or vinyl tarp materials. Both of these fabrics are very dense, with only tiny holes in them. This prevents the water molecules from entering into the fabric. These materials can withstand very heavy rainfall and snowstorms, up to 40,000 mm of water on the HH scale. Not all waterproof backpacks are made from a tarpaulin fabric. In fact, some are made from the same materials used to make the other two kinds of backpacks. The big difference with waterproof backpacks is that they are treated with a DWR coating or laminate to ensure high grade water proficiency (at least 10,000 mm on the HH scale.). Waterproof backpacks also have layers that are designed to increase their water resistance capability. These backpacks additionally have heated seams that help to ensure water cannot seep into the backpack where it was sewed; and waterproof zippers that are guaranteed to work in even the harshest weather conditions. Although some of this may be redundant, it’s important to stress (and re-stress) how important the construction of the backpack is to its overall waterproof-ness. While fabrics and sealants are certainly a main part of the equation when talking about waterproof backpacks, how these bags are put together also plays a huge roll. First, waterproof backpacks are typically equipped with specialized waterproof zippers. Not only do these zippers work great in inclement weather conditions, they are also designed to prevent water from entering into the backpack at these access points. As such, these zippers are carefully constructed so as to leave no gaps between the teeth of the zipper, and coated with water repellant materials to ensure water droplets will be whisked away upon contact. Most important to note in this section is how waterproof backpacks are sealed. There are actually a few ways this is done, beginning with the one we spoke of earlier: waterproof tape. Seams that are sealed with waterproof tape are then carefully heated. This heat ensures the tape will continually adhere to the seam, while also discouraging any water buildup around the seam. As mentioned, stitching alone cannot make a backpack waterproof. In fact, just the opposite is true. Seams that are merely stitched leave tiny holes from where the sewing was completed—holes that can allow water into the backpack. Therefore, after stitching the seams of a backpack, some manufacturers will add a layer of silicone or polyurethane to the inside part of the seam—a coating that will make the seam impervious to water. This can be very effective, but not quite effective as the former method, as silicone and other coatings can wear away over time, leaving the backpack very vulnerable. One of the methods now being used to keep the seams sealed is welding. In this method, the panels of each of the two pieces that will form together to make the seam are heated to bond them together. Since there are no holes or openings created in such a process, there is no space for the water to get through. The welding is permanent so there is no fear of the bonding wearing away. If you are a regular backpack user, you understand just how important the access points of these bags are for your convenience. Backpacks with several different access points allow you to utilize every inch of the backpack, while separating certain gear and supplies. From large compartments in which you can stow clothes, computers and important papers, to smaller compartments that provide easy access to hard-to-find items within the backpack, these access points just make your life that much simpler. However, the more access points you have on a backpack, the more opportunity there is for that backpack to take on water—water that can ruin your supplies quickly. Because of this, when you are shopping for a waterproof backpack, you should try to find one that has a single or just a couple of access points. These points will help you separate large gear from smaller supplies, and because there are only a couple of them, you won’t have to worry too much about rain and snowfall permeating the bag. When it comes to access points on a waterproof backpack, there are essentially two styles: the roll back backpack and the zippered backpack. Most waterproof backpacks have a roll back or roll top design, meaning they have no zippered openings from which to access certain supplies. With these types of backpacks, the sole opening point, which tends to be very wide, is at the very top of the bag. After loading up your gear, to close the roll top backpack you would need to press the opening together, usually by connecting two pieces of Velcro on either side, Then, the top of the bag is rolled down several times to create a seal, and then fastened with a snap or other device. Roll back backpacks provide a very effective waterproof layer, protecting it from heavy rainfall and snow, and even from brief submersion in a water source. As we mentioned in the introduction to this section, zipped backpacks can create spaces in which water can penetrate the bag. That is why it is so important to limit the access points on these types of waterproof backpacks. On the plus side, these backpacks are much easier to use and far more convenient than the roll top style. Understanding the convenience zippers provide, most major manufacturers of waterproof backpacks went to work designing waterproof zippers that can resist the water and provide a tight seal with which to keep it out. Each manufacturer has their own process for waterproofing the zippers on their waterproof backpacks, so it’s important to do your research before making an ultimate purchasing decision. Waterproof Inner Sleeves. Although waterproof backpacks are “supposed” to keep all water out and away from the bag, this may be a difficult claim to believe, especially if you are carrying very expensive and water-sensitive items in your backpack, such as laptops, tablets, phones or other electronic devices. For an extra layer of protection and some much needed peace of mind, you may want to look for a backpack that comes with waterproof sleeves within the bag. This will give you double the protection on those wet and rainy days. Buoyancy. Some waterproof backpacks, when completely sealed, are also airtight, helping them to float should they get submerged in a water source. Obviously, if you are a commuter or even a hiker this extra feature may never be necessary, but if you plan to take your backpack on any boating, kayaking or rafting trips, this is a very nice feature to have. Water resistant, water repellent, waterproof: shopping for a backpack that meets your wet weather needs can be tricky and slightly confusing. However, by using this tutorial as your guide, you should now be much more confident that you can find exactly what you need. Once you determine just how you plan to use the backpack, the advice provided above should allow you to pick out the exact type of backpack you require, complete with all of the features that make these items so very convenient and protective.